What do you get when you cross a rocket scientist with a mathematician? A Banjo Builder of course! Oh! And he majored in German, to boot! 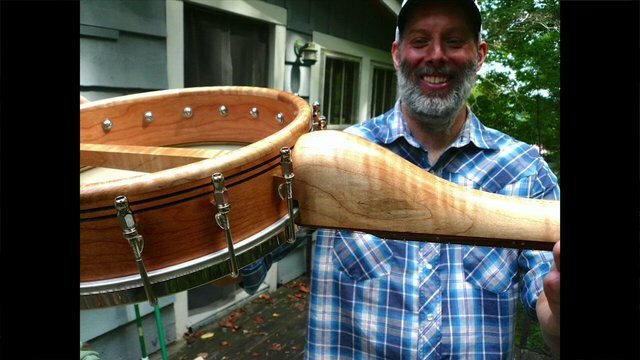 There's no predicting what uniqueness makes up the incredible species we know as Banjo Builders. The good news is, with as diverse as their backgrounds, their instruments are also destined to be originals. For instance, Noel Booth is making banjos out of crocks! It's based on his solid understanding of luthiery and the instrument. But there's no telling what this creative energy could end up designing.